The Beatles refused to play for segregated audiences in the U.S.
4. The idea that the federal government can regulate almost any business was established in a 1942 Supreme Court case. Since a farmer could theoretically sell produce over state lines, the US government had the authority to control what he could grow. 5. A recent study found that women remember pe*ises as being larger than they really were/are. 7. David Bowie holds the world record for the number of music video plays over a 24-hour period with 51 million plays, occurring January 11th, 2016, the day after his death. 8. Baby carrots (aka baby cut carrots) are actually just the cores of carrots not fit for store shelves and were only invented in 1986. 9. The "Golden Age Fallacy" (believing the past is better than the present) has been a popular myth that goes back as far as Ancient Greece and Prehistoric Times. A book entitled Atlanta Nights that was written by a group of sci-fi authors to be intentionally terrible as a test for the publisher PublishAmerica. It included a chapter containing computer generated random sentences and two words for word identical chapters. The publisher accepted it. 12. The Ancient One, AKA Kennewick Man, was buried on February 21, 2017, after a 20-year argument about his origin. In 2015, DNA testing proved the 9000-year-old male was related to neighboring Native Americans and was not Caucasian. 13. In his review of "Lulu", the collaboration between Metallica and Lou Reed, Chuck Klosterman wrote: "If the Red Hot Chili Peppers acoustically covered the 12 worst Primus songs for Starbucks, it would still be (slightly) better than this." 14. In 2007, a new parking garage in Germany ended up with two parking bays that had a peculiar shape and required a complicated parking maneuver in order to park there. Officials declared them Men's Parking Spaces to discourage unskilled drivers from attempting the maneuver. 15. Military units break step when marching over bridges to avoid causing a resonate wave that could collapse the structure. 17. In 2000, a Korean couple spent their life savings to bring a Pan Am 747 to Seoul and set it up as a restaurant. The restaurant failed, leaving the couple living in a hut below the airplane. The 747 was torn down for scrap metal in 2010. 18. There are birds named Oxpecker and Vampire finch that drink blood. 20. Gwyneth Paltrow's father forbade her from accepting a lead role in the movie "Cool as Ice" starring Vanilla Ice because he thought it could hurt her career. 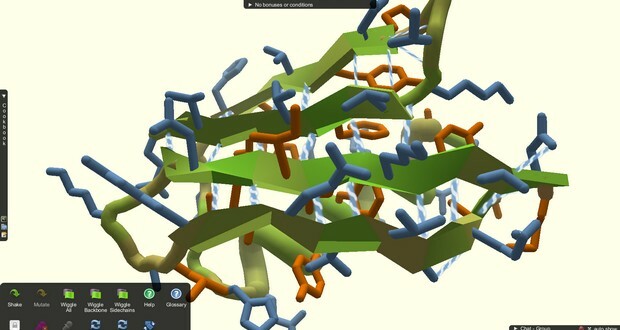 Players of an online game called Foldit resolved the structure of an enzyme in just three weeks. 22. There is a long history of US Vice Presidents disliking the job. John Adams called it "the most insignificant office... contrived," FDR's Vice President Garner called it "not worth a bucket of warm piss," and Truman joking Vice Presidents were "about as useful as a cow's fifth teat." 23. In 1856, American politician, Preston Brooks (D), beat Senator Charles Sumner (R) with a cane on the floor of the United States Senate in retaliation for an anti-slavery speech. He resigned his seat later in the year, only to be reelected to the same position left vacant by his resignation. 24. During World War 1, many women in the UK who were involved in manufacturing TNT turned yellowish, gaining the nickname "Canary Girls", because of their yellow coloured skin and because of the canaries used in the mines to warn of toxic substances. 25. Lobsters and certain other animals/plant life can live forever if unaffected by disease or predators.